Childhood dreams of flying to Mars could soon be a reality. NASA is seeking astronauts to join its active corps, all it takes is filling out all the proper forms. There are some restrictions for such a great opportunity, but one does not have to be a pilot or rocket scientist to become an astronaut. Enrollment begins December 14. Space exploration dreams were usually fulfilled by those lucky enough to go to space camp or by those rich enough to book a trip on a zero gravity flight. The absurdly wealthy can book a trip on a Russian Soyuz spacecraft. Becoming an astronaut is a dream job that comes with an endless supply of credibility. The only downside is some alienation by friends who cannot handle all the attention an astronaut gets from everyone. "Those selected for this service will fly on U.S. made spacecraft from American soil, advance critical science and research aboard the International Space Station, and help push the boundaries of technology in the proving ground of deep space, " NASA administrator Charles Bolden said in a statement. There are basic requirements for eligibility. To be a potential astronaut, one much have at least earned a bachelor's degree in engineering, biological science, physical science or mathematics. Advanced degrees are preferred by NASA. At least three years of related professional experience, complete with increases in responsibility, is required. Astronaut pilots requires at least 1, 000 hours of pilot-in-command time in a jet craft. If selected, candidates must past a long-duration spaceflight physical. Astronaut candidates need visual acuity correctable to 20/20 (20/100 or better uncorrected for pilots and 20/200 or better uncorrected for mission specialists) and blood pressure not exceeding 140/90. Mission specialists must be at least 58.5 inches and no taller than 76 inches while pilots should between 62 inches and 75 inches. Following the preliminary screenings is a week of interviews and medical tests. 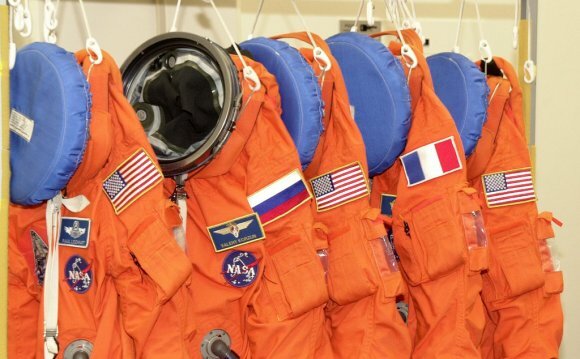 After selection, would-be astronauts spend two years training. For this round of hires, NASA expects to make its final elections by mid-2017. Salary starts around $66, 026 and astronauts could make up to $144, 566. It's an exciting time to sign up to be part of NASA's astronaut corps. Manned launches are returning to the U.S. with the help of commercial contracts. SpaceX and Boeing are currently developing spacecraft that will launch commercial crews to the International Space Station. The first test flights are scheduled for 2017. NASA is developing is own spacecraft, Orion, to send astronauts to Mars in the 2030s . YES, PLEASE! .o. So You Want To Be An Astronaut? Way...Way Out is a 1966 American film comedy starring Jerry Lewis and released by 20th Century Fox on October 21, 1966. Dušan Hanák (April 27, 1938 in Bratislava) is a Slovak film director.